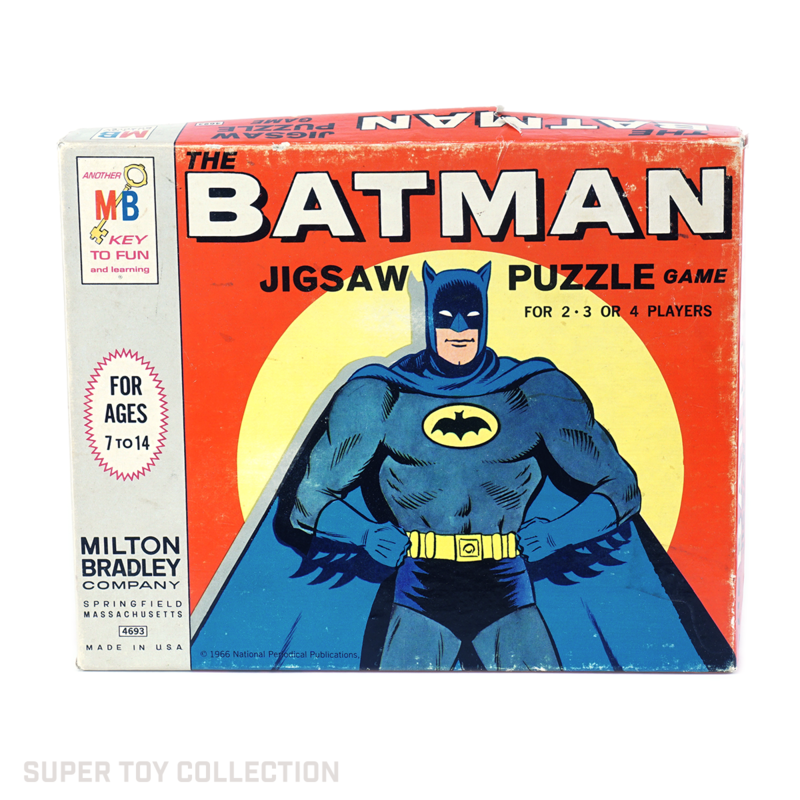 The Batman jigsaw puzzle game by Milton Bradley is one of the many products licensed by National Periodicals Publications in 1966. 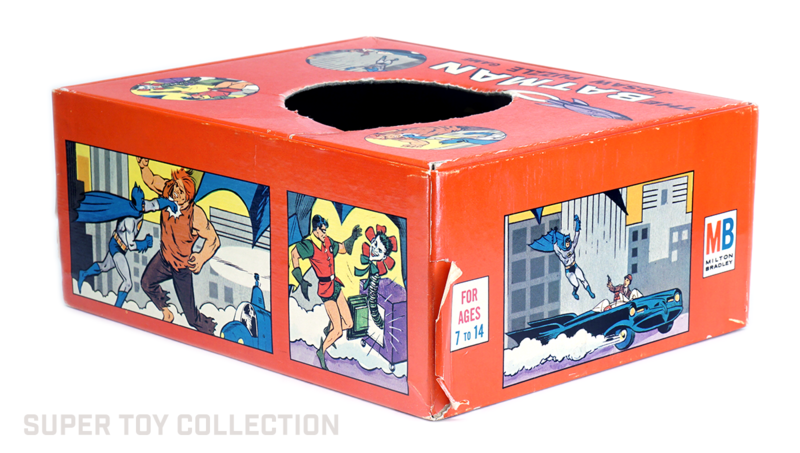 The back side of every piece has instructions to the player, such as “Riddler Strikes, Lose 2 Pieces” or “Holy Batmobile! 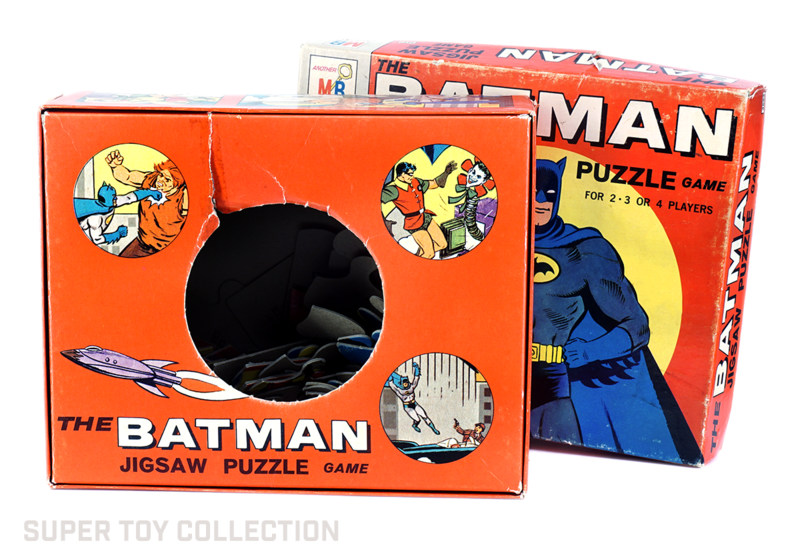 Pick 1 More Piece.” Players draw the puzzle pieces from the box and follow the instructions, trying to be the first to assemble a complete puzzle. There are enough pieces to complete four puzzles. 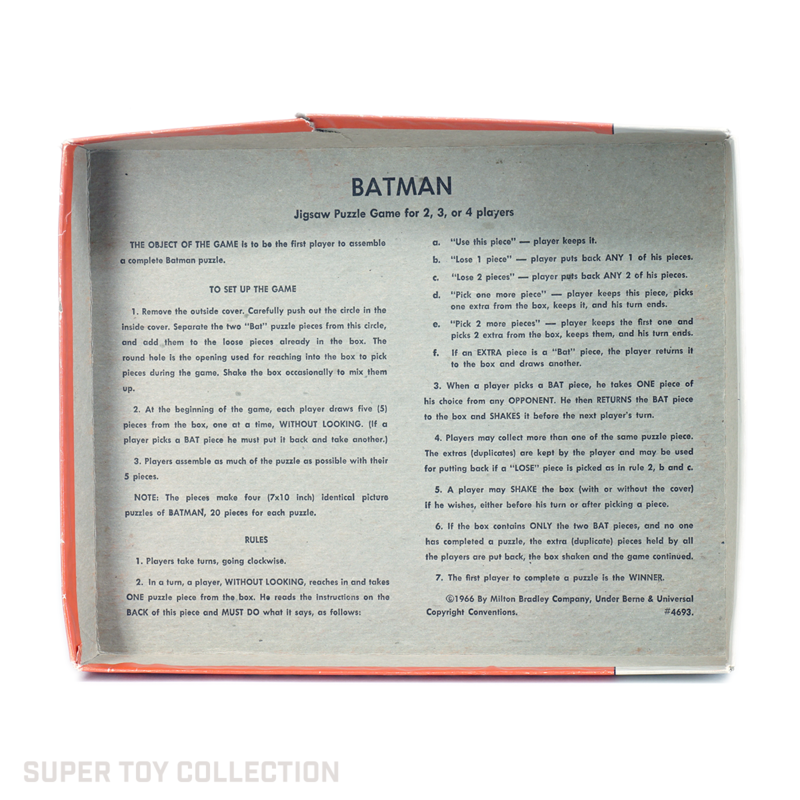 Instructions for the game are printed inside the box lid. 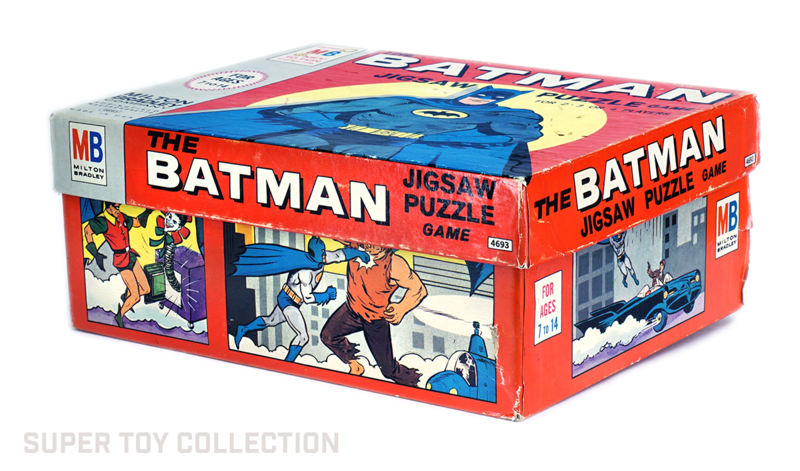 Vintage 1966 BATMAN Jigsaw Puzzle Game - All 80 pieces by Milton Bradly - VG!